SafeStep Huber Infusion Set with 19 gauge, 1.5 inch right angle, safety needle. 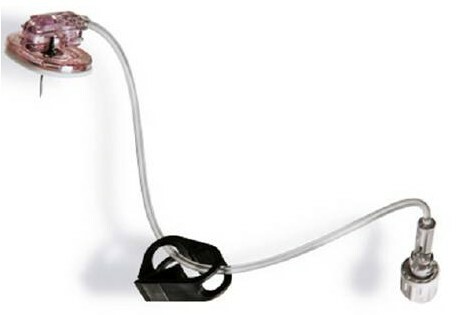 The Surecan™ Safety Huber Needle is intended to provide implanted subcutaneous port access, used in conjunction with IV administration of chemotherapy and other injectable drugs and/or to withdraw blood. 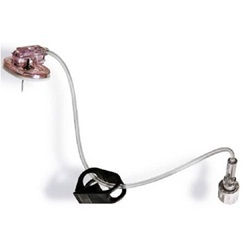 The Surecan Safety Huber Needle consists of a right angle non-coring Huber needle with a passive safety mechanism clip, hub grip, base plate, DEHP-free extension set with an on-off clamp and a color-coded female luer lock connector.